Contrary to everyone else in the world, I was not one who went absolutely ga-ga for Wes Anderson’s previous film “Moonrise Kingdom”, but believe me, it surprised me more than anyone. I am a massive fan of Wes Anderson, so it came as a bit of a shock to be completely underwhelmed by one of his features. However from all of the trailers that have come out for his follow-up “The Grand Budapest Hotel”, it looks as though he may have created his most entertaining film yet. Having the film set in three different time periods (each shot in a different aspect ratio) looks interesting, but it is the quirky murder mystery storyline that really excites me. That, and it is great to finally see Ralph Fiennes do something completely different and he looks to be in career best form here. As usual for Anderson, the design of the film and its quirks are specific to the director and instantly recognizable, which gets me once again pumped for the film, but I must remind myself that it was these same quirks that I found so self conscious and annoying in “Moonrise Kingdom” and temper my expectations before going in. 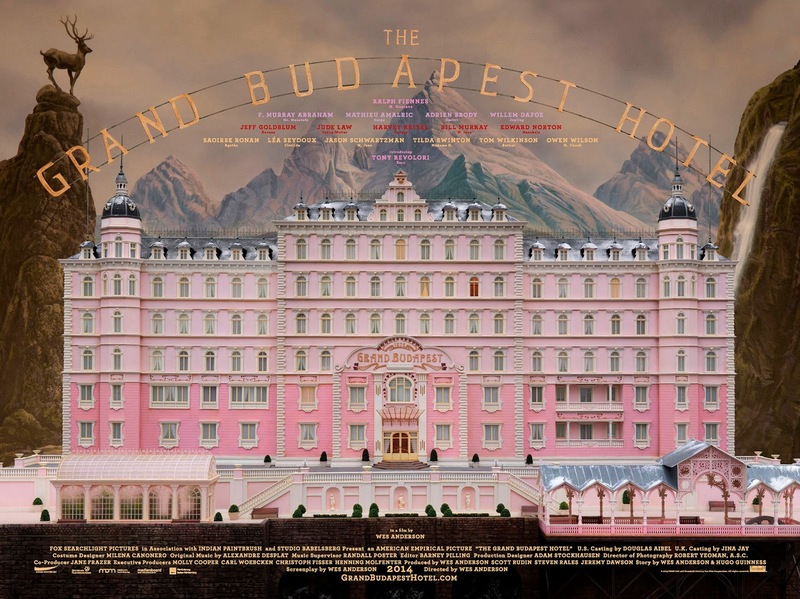 That said, “The Grand Budapest Hotel” looks like a rollicking good time, if nothing else. This film has the biggest question mark next to it because it could be anything, everything or nothing. Because this is Ryan Gosling’s directorial debut, it is unknown just how much talent the guy has in that department, but knowing the kinds of movies he commits himself to when acting and the sort of directors he likes working with, I am pretty confident that this is going to be a special film. If nothing else it sounds original. Here is the official plot description for the film: “"A dark fantasy/neo-noir about a single mother (Christina Hendricks) who gets lost in the criminal underworld, while her son discovers a road leading to an underwater utopia." Personally I think it sounds amazing especially the part about the underwater utopia; it just brings to mind some amazing visuals that I hope Gosling can capture. Aside from Hendricks, Gosling has filled his cast with Saoirse Ronan, Eva Mendes, Ben Mendelsohn and Barbara Steele (! ), while behind the camera he has got the great Benoit Debie as his director of photography. I admit I am expecting big things from “How To Catch A Monster”, and think it has the potential to be the surprise hit of the year, but I also understand that it has the potential to go the other way too. Either way, I cannot wait to see this film. David Michod’s directorial debut, “Animal Kingdom”, absolutely blew my mind when it came out. I adored the film and was stunned by just how brilliant a director Michod was with his first feature. He was so assured and precise and obviously knew exactly what he wanted and what he delivered was masterful. It was obvious too that he had a knack of collaborating with actors and getting the best out of them because “Animal Kingdom” is filled with stunning performances and even saw Jacki Weaver garner an Oscar nomination. 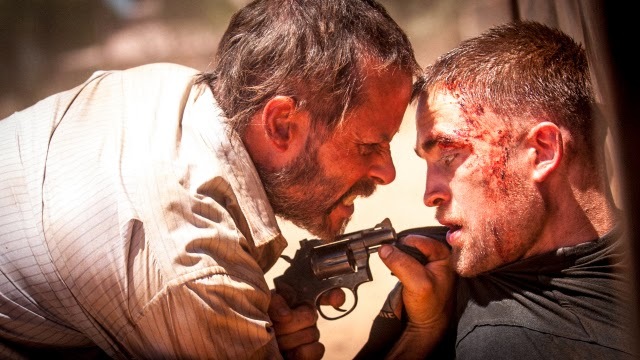 Whatever Michod did next, I was always going to be first in line for and “The Rover” is that new film. Here is the official plot description for it: “….is set in the Australian desert in a dangerous and dysfunctional near future. Eric has left everything and every semblance of human kindness behind him. When his last possession, his car, is stolen by a gang of dangerous criminals, Eric sets off to track them down and is forced along the way to enlist the help of Reynolds, the naive member of the gang left behind in the bloody chaos of the gang's most recent escape.” From the still above, it looks as though this is going to be an intense film and it makes obvious that Michod has reteamed with Guy Pearce who plays the role Eric. The role of Reynolds surprisingly went to Robert Pattison and hopefully behind Michod’s steady hand we can see the best of this actor and something completely different. Any time Paul Thomas Anderson makes a film, it is an event and should not be missed. He is a director that has yet to make a bad film, but what makes “Inherent Vice” so compelling is that after two somber character pieces, it looks like Anderson has returned to having “fun” with his new film. “Inherent Vice” is adapted from Thomas Pynchon’s novel of the same name and is about “…a drug-fueled detective…” named “Larry "Doc" Sportello” who “… investigates the disappearance of a former girlfriend.” The film is set in Los Angeles in the 1970’s and I must say that I am getting a serious “The Long Goodbye” vibe from it which makes me very excited. Anderson has reteamed with Joaquin Phoenix who plays the detective and has filled his cast with some stunning actors the likes of Josh Brolin, Reese Witherspoon, Jena Malone, Owen Wilson and Martin Short. 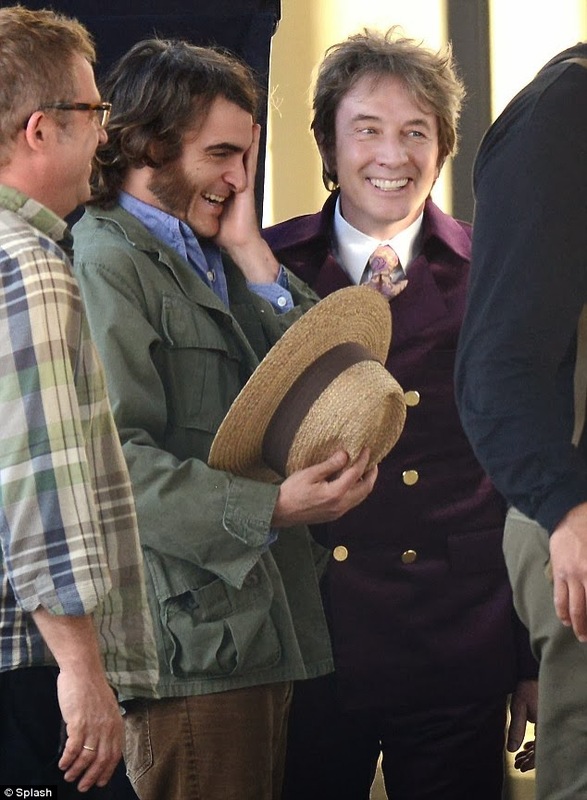 The other news of note regarding this film is that Robert Elswit returns as Anderson’s director of photography for “Inherent Vice” after missing “The Master”. This thing can only be a hit in my eyes and I am so looking forward to it, and it is also great to get a new film from Paul Thomas Anderson so soon after “The Master”. While it is well known that Tim Burton and his films have been inconsistent lately, I am not one of those that thinks the director has lost it and does not have another good film in him. After all, his best film “Sweeney Todd” only came out seven years ago. I will admit that I think Burton needs to find something fresh and work with different actors again in an attempt to re-capture his early brilliance and he may have found this opportunity with “Big Eyes”. 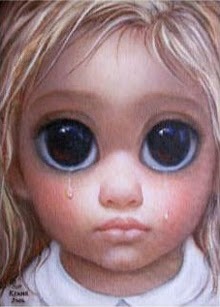 This film is something completely unique in Burton’s filmography as it is a drama focusing on Margaret Keane, an artist who first found acclaim in the 1950’s and whose work was instantly recognizable due to the big doe-eyes she drew in her subjects that usually consisted of children or women. The film charts her success and her subsequent legal battles with her husband, Walter, after he attempts to claim the work as his own. As you can see, this is nothing like anything Burton has tackled before but the most exciting thing about “Big Eyes” is that the script is written by Scott Alexander and Larry Karaszewski who were the geniuses behind Tim Burton’s other perfect film, “Ed Wood”. And the cast? Johnny Depp and Helena Bonham Carter are nowhere to be seen, instead we have a completely new group of actors who have never worked with the director before with Amy Adams and Christoph Waltz filling out the roles of Margaret and Water Keane. The director of photography for “Big Eyes” is the extremely talented Bruno Delbonnel (check out his stunning work in the Coen Brother’s recent film “Inside Llewyn Davis”) who also shot Burton’s “Dark Shadows” so it will definitely be a beautiful looking film. At the end of the day, I think “Big Eyes” is going to be a small film that may struggle to find an audience in today’s market, but in terms of quality I think it has the potential to be very special and it will hopefully be another gem in Tim Burton’s career. 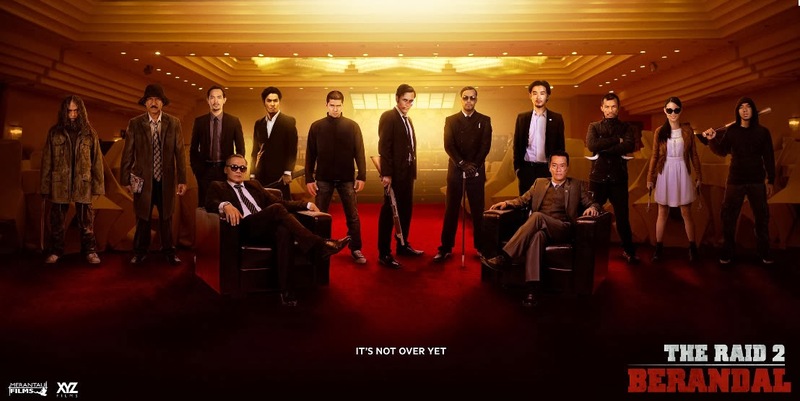 My most anticipated film of “2014” is the martial arts actioner “The Raid 2: Berandal”. While I am a little embarrassed that my most anticipated movie isn’t something more highbrow, I am not going to apologize for my love of visceral, kinetic cinema. The original film I declared as the best action film I had seen in a decade, and I stand by that. It is a brutal and stunning film full of amazingly choreographed fights and mayhem. The sequel has been opened up considerably by not being contained in a single location and increasing the number of characters ten-fold. The film kicks off right at the spot the original finished, and becomes something of a crime epic as Rama is forced to go undercover into a prison to befriend the son of the biggest crime boss in Indonesia, in an attempt to destroy the organization from the inside. The film premiered at Sundance earlier this week and the response has been incredibly positive with almost unanimous reports stating that it outdoes the original in every facet. This is almost unbelievable but apparently the film is chock full of pulse pounding action the likes never seen before, and I have seen it mentioned as the “best action film ever made”. While that sounds like hyperbole, I will admit it has got me even more excited to see the film. It was obvious in the first film that director Gareth Evans understands action and how to film it, but it also appears that he has the ability to tell a grand sweeping crime epic too. As of yet the film does not have an Australian release date, which kills me, but it does come out in the U.S on March 28, which means that the blu-ray release of the film will arrive before the end of the year. Hopefully I wont have to wait that long to see this two and a half hour martial arts epic, because as I said before this is my most anticipated film of 2014. Well, that is it. My enormous round up of the year that was 2013 is finally over. Hopefully you enjoyed reading it and got something out of it, but how about we go back to watching some new films now? Another coming of age tale, but one that is completely different to “Mud”, because when India Stoker finds and grows into her true self, she becomes someone not as innocent as you would expect. “Stoker” is Park Chan-Wook’s English language debut and the change of language has changed nothing else, because the film is a stunning achievement and has all the hallmarks of the director’s previous work. It is visually gorgeous to look at and the visuals themselves give the film a fairytale like quality to it all. 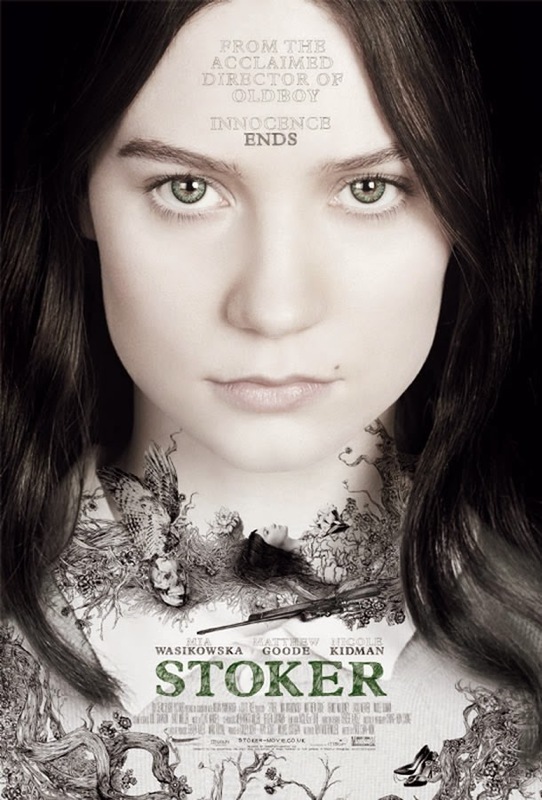 The film is blessed to have three generations of Australian actresses (Nicole Kidman, Jacki Weaver and Mia Wasikowska) fill the major female roles and they are all magnificent but it is Wasikowska as India Stoker who owns this film. This is her most complex and best role to date and her character has one of the most complete arcs I have seen in a Hollywood film for quite some time. What I loved about the film is the dark themes that are within it, something that Park Chan-Wook has never been afraid to tackle, and yet despite the darkness of theme, the film has been shot the opposite. True, there are shadows always present on the edge, but it never envelopes the film fully and you can always see what is going on. Being a huge Hitchcocck fan, I loved the allusions to his classic film “Shadow Of A Doubt”, with both films antagonists being an Uncle Charlie. I also believe that the visual style of “Stoker” is very reminiscent of Hitchcock too and if Hitchcock were alive today, I am sure that this is the kind of film he would be making. Also similar to De Palma’s “Passion”, this is a film that gets better with each viewing. Click here to read my original review. This was the surprise of this year’s MIFF for me and was a film I almost didn’t end up seeing. I was feeling so burnt out and wanted a break and was going to skip “Drinking Buddies” as I was only seeing it because Anna Kendrick had a role in it. Thank god I changed my mind because I absolutely loved this film. 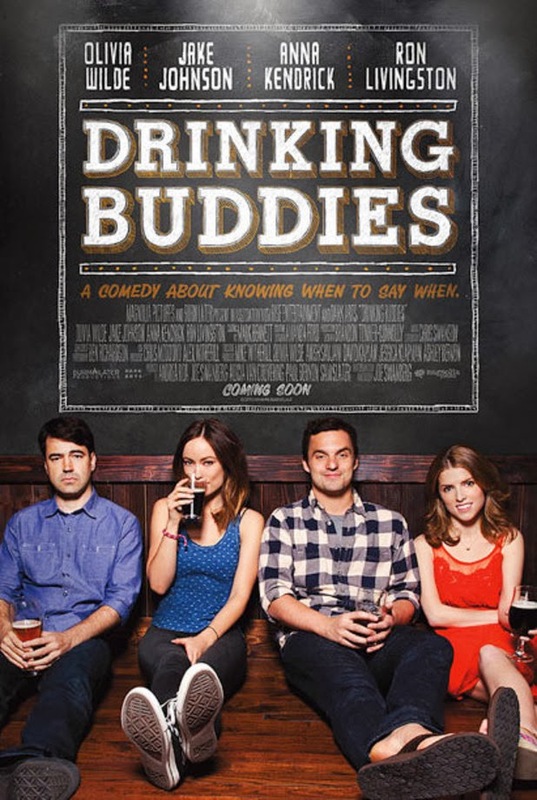 “Drinking Buddies” is actually a rare commodity in cinema because it is about friendship rather than love. The film has a very real vibe to it all and this is because there was no dialogue written in the script, rather writer/director Joe Swanberg just wrote down the story beats and the dialogue was totally improvised by the actors themselves. This is a dangerous technique for a film particularly if you have not cast the right actors, but Swanberg has done a stellar job in that department because both Olivia Wilde and Jake Johnson have the most natural chemistry I have seen on film in ages. They work so well off of each other that you would swear that, like their characters, they were age old best friends. My absolute favourite thing about “Drinking Buddies” though is that it doesn’t go for the cop out Hollywood ending with the two friends realizing they were perfect for each other and end up falling in love. If that happened I would have been shattered, but thankfully Swanberg ends the film on the most perfect note. While “Drinking Buddies” is only a small film, it is endlessly entertaining. I love this film and recommend it wholeheartedly to everyone. Click here to read my original review. Jim Mickle’s “We Are What We Are” is almost the perfect remake. Mickle has taken the basic elements from the Mexican original and taken the story in a completely different direction, complete with different locale. While the original film is an urban drama, the remake takes place in a country town completely altering the feel of the film and separating itself to be its own being. Both films deal with a cannibalistic family preparing a religious ritual, as the power shifts from one member to another after the leader of the family dies unexpectedly. Mickle has added another subplot of a doctor searching for his missing daughter’s remains and whose investigations lead him to the Parkers, the aforementioned family. The doctor is played by Michael Parks who underplays his role to perfection; he has a quiet presence throughout the film full of heartbreak and hurt. Another change that Mickle made to the original was reversing the genders of all the main characters, so in this film, the leaders of the family are the females and it is up to 19 year old Iris to take her mother’s place after her death. Knowing what comes with the leadership, Iris is reticent to take on the job and must rely on the help of her younger sister Rose. As good as Ambyr Childers is as Iris, for mine, it is Julia Garner as Rose that steals this picture. She is simply amazing and has such presence on screen that she out acts veteran actors three times her age. My favourite thing about “We Are What We Are” though is, and this may surprise you, is the visual style. Firstly, Liz Vastola’s costume designs, particularly for the girls, are just brilliant and give the film an otherworldly or “old” appearance even though the film is set in the modern day. In terms of camera moves and shots, the film is shot very classically but Mickle has fun with a number of camera techniques such as overhead shots and the use of the split diopter. Even when not using trickery, the film is always shot in gorgeous compositions creating quite the beautiful horror film. Now as good as “We Are What We Are” is, it does stumble at the final hurdle with its terribly misjudged ending. The film is never gory but for some reason Mickle decides to go for the gore for the finale and it is ludicrous and just does not fit the tone of the rest of the film. It is a truly horrible ending but doesn’t quite undo this brilliant horror film. Click here to read my original review. 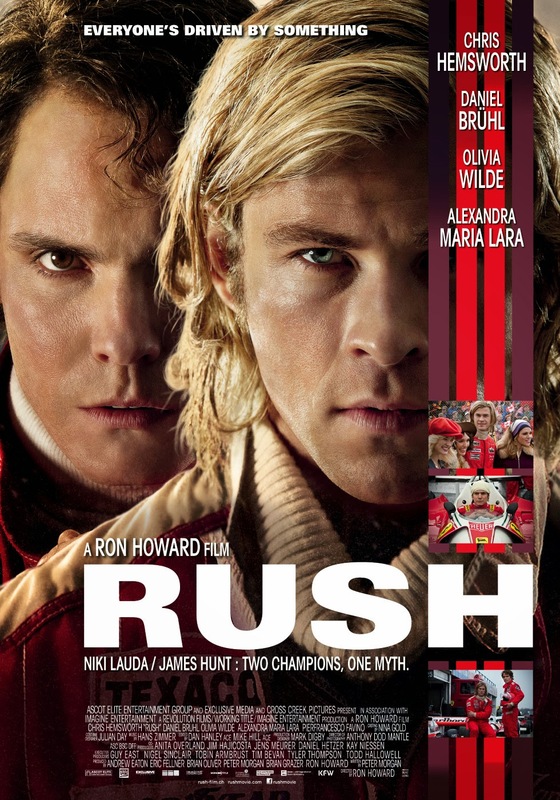 I have already mentioned that Ron Howard’s “Rush” was my biggest surprise of 2013 and it really was. When I started watching the film I had no expectations of it being any good at all and yet here it is in my top ten of the year. I was literally blown away by the quality of the film; in all departments: directing, acting and production design. Even though I had no interest in the subject of Formula 1 racing, the way that Howard has put this film together had me riveted the whole time. I was on the edge of my seat through all of the racing scenes (it helped that I did not know the real life outcomes) and I loved how different both James Hunt and Niki Lauda were in their philosophies of racing. Hunt had to do it because he was brilliant at it and had an undying passion to prove that he could be the best, while Lauda took a more mathematical approach in terms of getting ready (both his car and his own body) to get maximum performance when on the track. No doubt both men were brilliant drivers though; the best in their time and their rivalry is thoroughly entertaining. Both Chris Hemsworth and Daniel Bruhl are perfectly cast as Hunt and Lauda respectively, but it is Bruhl that takes the honours just for making the prickly and potentially unlikable Lauda, in fact likable. 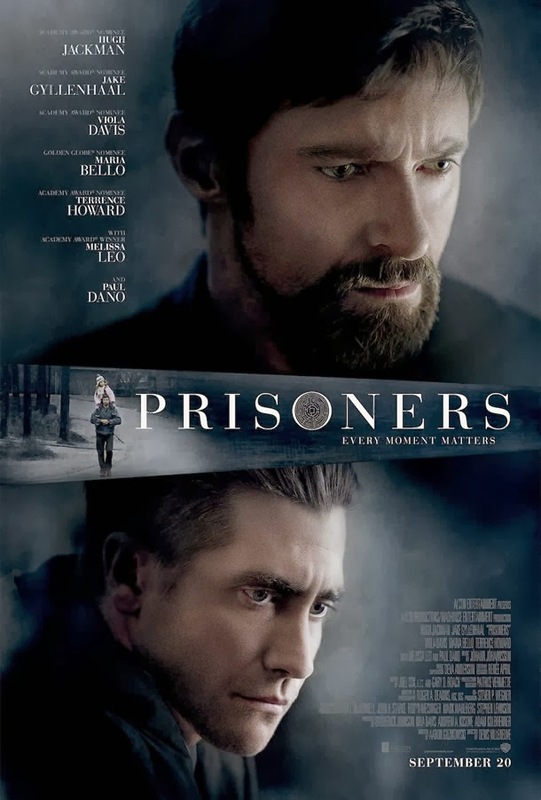 French Canadian director, Denis Villeneuve’s “Prisoners” is quite a masculine piece of cinema and another real big surprise for me this year. The story of a kidnapping of two young girls and the consequences that come after the said abduction is one of the most powerful films I saw all of 2013. First and foremost, the performances of the two leads are truly stellar. Hugh Jackman, as the aggrieved father, has never been better; it is such a strong and aggressive performance as this man is pushed to the limit in an attempt to find his daughter. He is actually terrifying in just how far he is willing to go and the moral ambiguities of this film is another one of its strong highlights. We know what Jackman’s character is doing is very wrong, but if it was our daughter would we not want to do the same? Jake Gyllenhaal always seems to come across as quite young in film because of his baby face, but this is the first time that I have ever seen him come across as a real man. He is so masculine and intense as Detective Loki, the man in charge of searching for the missing girls and keeping an eye on Keller Dover (Jackman) so he doesn’t do something he will regret. This is actually the second of two films that Gyllenhaal has done with Villeneuve (the first film, “Enemy”, has yet to be released but is due early this year) and the director obviously knows how to get the best out of his leading man. While Gyllenhaal’s role is much more controlled and internalized, it is just as full of testosterone as that of Jackman’s. Probably the biggest surprise about “Prisoners” is where the film actually goes and just how dark it gets. This is a brutal film with some graphic torture sequences that aren’t for the faint of heart but even with the film’s uncomfortable subject matter and its extended running time (“Prisoners” is just over two and a half hours long), it is always riveting; you cannot take your eyes off the screen and this intense tale. That is the perfect word to describe this incredible movie: it is intense, and you may be surprised at just how emotionally involved you become with it too. Special mention must be made of Roger Deakins gorgeous, but very dark cinematography. He has made true beauty out of a number of very ugly situations. “Prisoners” is a must-see and was the best thriller to come out in 2013. Irish filmmaker Neil Jordon may be the most underrated director working today. There was a brief period where his genius was recognized (around the time of “The Crying Game” and “Interview With A Vampire”) but most of the time his work seems to get overlooked. This is such a shame because he continually makes films that are well worth seeing and “Byzantium” may be the very best of them. Like the film’s director, “Byzantium” itself may be 2013’s most underrated film. This film saw Neil Jordan return to the world of vampires for the first time since his most famous film, and what he came up with is absolutely sublime. I adore this film with a passion, in every way possible. Personally I think Jordan is at his best with his fantastical films; films that live in a realm that is not quite reality. He seems to have an ability to add a fairy tale quality to these films from “The Company of Wolves” to “In Dreams”, all the way up to “Ondine” and now his latest, “Byzantium”. As I said, the film is a vampire drama but this is not a “Twilight” rip-off instead Jordan brings back the most vital component to a vampire tale; the fact that the vampire is a tragic character. Their lives are filled with sadness and despair and their immortality may be a curse more than anything else. 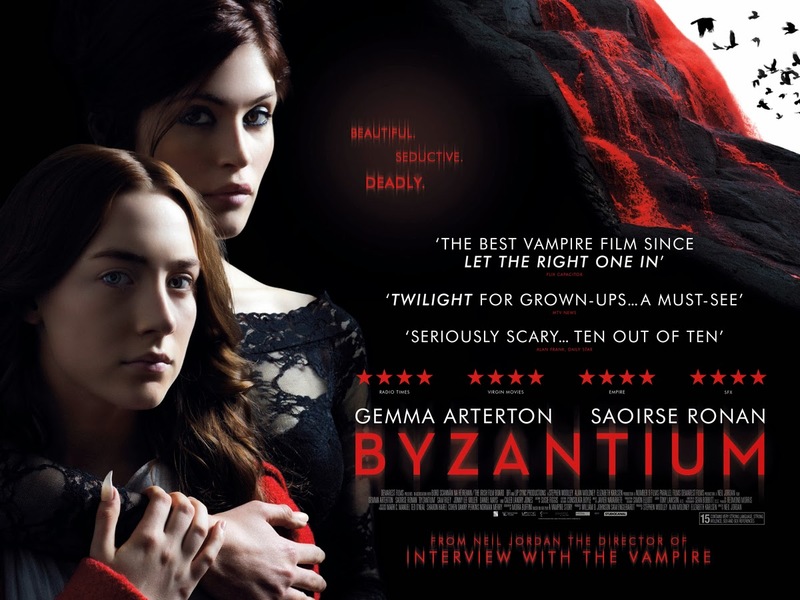 The vampires of “Byzantium” are not your traditional sort (they don’t bite, they lacerate with a large finger nail that extends when ready to feed), rather we have a mother / daughter team (played by Gemma Arterton and Saoirse Ronan) on the run from their very own makers after breaking the sacred and secret code of their sect. Tired of constantly running from town to town, Eleanor (Ronan) starts writing about her life and exactly what she and her mother are, and then shares these stories with a young boy she starts to fall in love with. So we have the tragedy of a love story that will never be, as well as the tragedy of how the girls came to be which is reiterated to us (the audience) as Eleanor writes about it, so the movie cuts between the past and the present, and it is done so magnificently. This is a slow moving film but personally I thought it was perfectly paced and the story was beautifully told. Visually, the film was gorgeously shot by Sean Bobbitt (who is fast becoming one of my favourite cinematographers) who regularly frames the girls in the center of the shot with long halls or corridors enveloping them and making them look smaller. I was stunned by how beautiful each shot in the film was, and one of the most stunning images in the film that you will see is of this giant blood waterfall. Sadly this film went straight to DVD in Australia (it was originally set for a cinema release, but it never happened) but please do not let that cloud your judgment of the quality of this film. This is a brilliant film, in all departments, that I hope more and more people take the chance to see. The best horror film of the year was, without a doubt, James Wan’s “The Conjuring” which was a throwback to the ghost stories of old. Wan forgoes blood and gore to create a chilling film built on atmosphere and suspense with its best and scariest scene being one that is left totally up to the audience’s imagination (the shadow behind the door). Wan’sdirection is very impressive (his best yet) and I loved the way he framed and composed the majority of his shots. “The Conjuring” is actually based on truth of sorts, as the story has been taken from the files of real life paranormal investigators Ed and Lorraine Warren, who have been portrayed in the film by Patrick Wilson and the always fantastic Vera Farmiga. Both bring a reality to their characters that is paramount to the success of the film because they sell that everything that they see, feel and hear is as real as anything else in the room, no matter how ridiculous it may seem. Like all great ghosts stories of the past, “The Conjuring” builds slowly as the stakes continue to grow until the chilling finale, but what is interesting about this film is that while the film starts off as a ghost story, by the end of it, it has morphed into something else entirely. It goes from a ghost story to a story about possession and it is the best example of possession I have seen in a film since “The Exorcist” which is the absolute highest praise I can give. Personally I found the finale of this film to be absolutely terrifying and that’s because Wan was able to present the situation with the same reality as the rest of the film. Aside from the horror aspects of the film, everything else about “The Conjuring” has been brilliantly put together. The film is set in the 70’s and the period fashions and décor of the house is totally spot on. Everything feels exact and of the era and the production design of the house itself is gorgeous with its run down look and lived in feel, giving it plenty of opportunity to help build the intense atmosphere of the film. Another impressive bit of production design is the very creepy “trophy” room of the Warrens which houses mementos from all the cases they have been involved with, and because this is a James Wan film, it includes a very creepy doll. Thankfully, audiences flocked to see “The Conjuring” and the film became a massive success which was well deserved because the film is brilliant and a new horror classic. Click here to read my original review. Derek Cianfrance’s triptych of tales is really a complex look at fathers and sons, and how much their influence defines one another and whether or not sons are doomed to repeat the sins of their father, but it has been cleverly disguised as an involving crime drama. 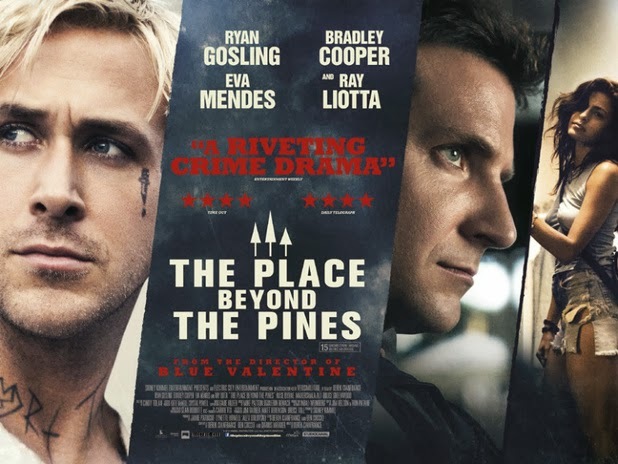 As good as the genre elements are within “The Place Beyond The Pines”, make no mistake about it, it is the family elements that is what this film is truly about. The film grabs you by the throat immediately in the fast paced opening segment that sees Ryan Gosling play a new father making the dubious decision to rob a bank to care and support his new family. Luke (Gosling) is a stunt rider at a local carnival and he uses his amazing skills on a motorbike to help him with his robberies. Gosling is yet again electric in the role of Luke, a no-hoper who dreams of doing good for his family. It is an amazingly charismatic performance that is anchored by an emotional honesty that makes it easy to care for the man even though want he is doing is dumb, to put it lightly. Bradley Cooper is equally impressive, as a cop who attempts to take on corruption within the force, even though his role is far less showy than Gosling’s and much more internalized. Like all of the segments of this film, the second part is incredibly emotional because much of Avery’s (Cooper) pain comes from when he was injured on the job stopping an intruder entering a woman’s house. Whilst stopping the man, he himself is shot but not before he kills the intruder with his own shot. When he learns that the man he killed had a son the same age as his own, he is devastated and can’t bring himself to look at his child anymore due the guilt he is holding, so he basically abandons his son from an emotional standpoint. After the cracking pace of the opening segment, there is a jarring effect when the second, slower segment begins but once you get to know the characters, the level of quality in regards to story is as equal as the first.The less said about the third sequence the better because it holds a few secrets better not spoken about but it is a real examination about whether or not sons are doomed to repeat the same mistakes of their fathers, as well as looking at the nature versus nurture debate. “The Place Beyond The Pines” is a long film at close to two and a half hours but I was with it for every minute. Not once did I feel bored or want to look at my watch. The reason for this is that the characters and the actors playing them are naked, emotionally speaking. Everything feels honest and real in all of the situations presented; nothing ever feels off. Once again Sean Bobbitt’s cinematography is outstanding and yet, it is totally different from what he showed in “Byzantium”. His work here relies a lot more on natural light and handheld camerawork is employed regularly and yet it is all extremely beautiful. The other great positive “The Place Beyond The Pines” has is Mike Patton’s score which is never intrusive, nor does it attempt to influence you to feel a certain way, rather it elevated the emotional content present within the film. “The Place Beyond The Pines” is just an amazing cinematic experience that I loved wholeheartedly. Click here to read my original review. How do you follow up the masterpiece that was “A Separation”? Well if you are AsgharFarhadi, thus arguably the greatest working director in cinema today, you just roll up your sleeves and make another film because while “The Past” may not quite be as good as its predecessor, it is almost better than anything else I saw all year. Farhadi has created yet another spellbinding family drama with “The Past” but for the first time in his career, he is working outside of Iran and in a foreign language. 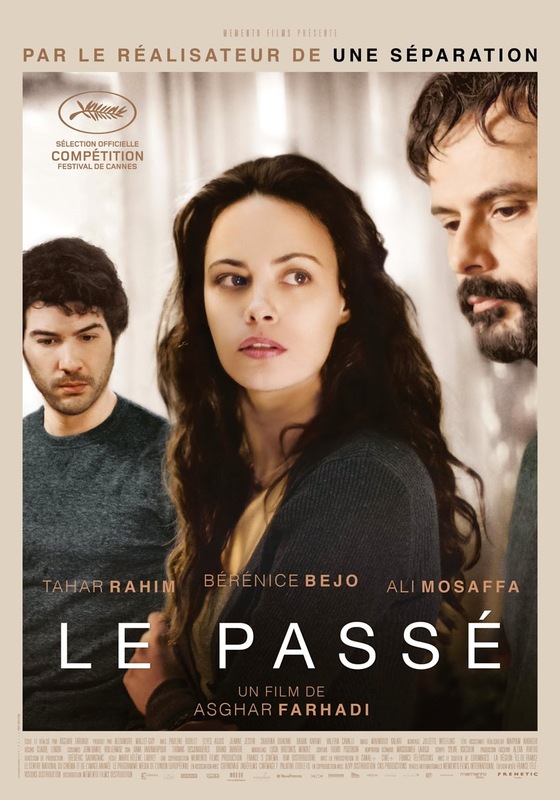 This new film is set in France, and it is amazing to notice how the change of language and location has not changed the quality of Farhadi’s work at all. The reason for this is that Farhadi deals with human emotions that have no geographical boundaries; they are stories that everyone can relate to. Like “A Separation”, this film although a drama is told in a style that is more akin to a thriller where we are given more and more information as the film goes along that ultimately changes everything we thought we knew from before. What I love about Farhadi’s films is that he works in levels of grey; none of his characters are defined as good or bad, they are just people trying to deal with their own problems. Seeing as how Farhadi deliberately holds back certain pieces of information from us, until he shares that information with his characters, it is best that I do not talk about the plot, but suffice to say this is a film about dealing with the past; trying to escape from it or coming to peace with it and how it is very hard to plan for a future until you have successfully done so. What is interesting about “The Past” is that he starts the film in a very similar manner to “A Separation”, with our two main characters coming together in an attempt to get a divorce and end the marriage on good terms. What is different about this new film though is that unlike the previous one, “The Past” is not shot in a documentary style, it is much more classically shot and it is gorgeous to look at. I must say that with each new film Farhadi gets more and more comfortable with the visual side of his films and “The Past” is easily his best looking film. I loved his use of the autumn colour palette; that is consistent with the colours within the house; the browns, yellows and dark greens. I also like that Farhadi shoots through obstructions within the frame, like plants, glass windows, door frames so it gives us the feeling we are watching something private. The intense conversations these people are having are not for stranger’s ears and thus it feels like we are catching these characters in private moments not meant for us. Performances in “The Past” are all tops with Berenice Bejo showing stunning range especially compared to her role in last year’s “The Artist”. However my favourite performance in the film is that of young Pauline Burlet who plays Lucie, the teenage daughter, in the film. It is such an emotionally devastating performance and she is convincing in every frame she is in. Her character arguably is carrying the most emotional baggage during the film, and it shows particularly in the why Burlet holds herself physically. She drags herself around, with her shoulders slumped and her head down, never making eye contact with anyone; you can feel the emotional weight and guilt that she is carrying. The only problem I have with “The Past” is that it is probably ten minutes too long, and Farhadi goes for one revelation too many. Personally, I think less would have definitely been more in this case, but gee, this is another spectacular film from Asghar Farhadi that I just adore. Click here to read my original review. So we have finally made it to my best film of the year and it was one of the first films I saw in 2013: Pablo Berger’s “Blancanieves”. It was the only film that I gave five stars to this year so it wasn’t a hard choice at all, and even when I saw the film back in January I knew that it was going to be hard pressed for something to beat it as my favourite film of 2013. The first time I saw the film was on my Spanish blu-ray that I had imported, but I was lucky enough to actually get to see “Blancanieves” on the big screen at MIFF later in the year, and the film impressed me all over again. “Blancanieves” is actually the story of Snow White (yes, again) but told in the most original way. First of all the story is set against the backdrop of matadors and bullfights. Despite this, the story does stay close to the dramatic beats of the tale we all know and love but in such an original way that you can only be impressed by it. From a filmmaking point of view, what makes this version of “Snow White” so impressive and original is that it has been filmed as a silent film and Berger does a stunning job of getting it so right. It is glorious to look at and when you are watching it, you know you are watching something special. What is sad about “Blancanieves” is in its timing of release. When Berger first started working on this film eight years ago, the idea of making “Snow White” as a silent film set in 1920’s Spain was such an original idea, but when the film came to fruition and was finally released, it did so after two Hollywood versions of the “Snow White” tale came out, and a couple of months after “The Artist” had taken the world by storm. I feel so sorry for Pablo Berger because I am sure that if “The Artist” did not exist or came out after “Blancanieves”, “Blancanieves” would be the film everyone would be talking about; instead it sadly got looked over as nothing more than a novelty, and it is something much grander than that. Do not get me wrong, I love “The Artist” and are happy for its amazing success, but I think “Blancanieves” is the greater film in all facets. Its story is more complex as are the film-making techniques, and importantly the film is not self-referential at all. This isn’t a silent film about silent film, it is a beautiful tale told in the visual grandeur that was silent film. Where the film does trump “The Artist” totally is in its magnificent score which was created by Alfonso de Vilallonga. Actually everything about this film is glorious; the direction, the art and production design, Kiko de la Rica’s superb black and white cinematography, the razor sharp editing, and arguably best of all is Maribel Verdu’s wild and energetic performance as the villain of the piece. I could gush about this movie ad nauseam, but instead I will just say that it is a stunning achievement in film and in filmmaking and I implore you to see it if you ever get the chance. You will not be sorry because it is simply amazing and was the best thing I saw in 2013, thus making it my favourite film of the year. Click here to read my original review. Well there you have it, that was my round-up of the year that was 2013. Hopefully you got some enjoyment out of it, but before I finish, lets have a brief look at the upcoming year and my most anticipated films of 2014. Just scraping in the countdown is Quentin Tarantino’s latest film “Django Unchained”, which saw the director tackle a Western for the first time and unsurprisingly he did a marvelous job with it. While I am not as ga-ga about the film as most people (I much prefer Tarantino’s previous film “Inglourious Basterds”), what is undeniable is just how great Christoph Waltz is in the role of Dr. King Schultz; a former dentist now working as a bounty hunter. Also fantastic is Leonardo DiCaprio who is gloriously over the top playing villain Calvin Candie. 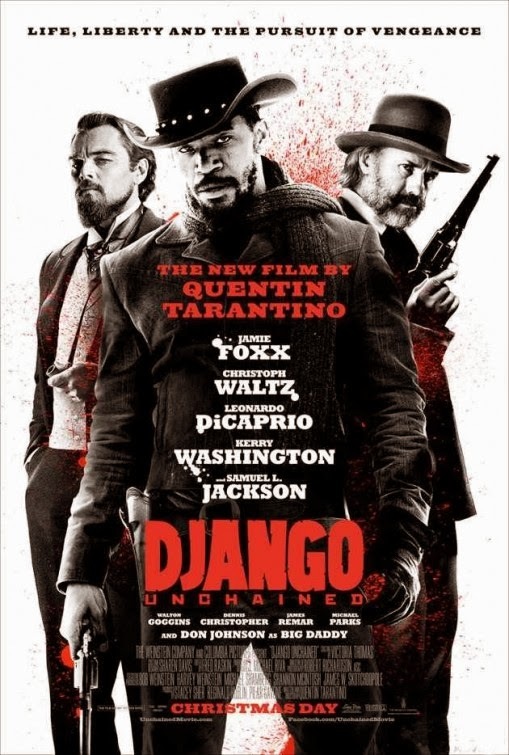 While the titular character is, of course, Django, he is also the least interesting character in the film and Jamie Foxx gives a fairly one note performance as the former slave searching for his kidnapped wife. As usual for Tarantino, revenge enters the picture towards the end and it ultimately becomes a more generic film for it, but overall this is an entertaining and very well made picture but Tarantino has got to learn to that he is not a quality enough actor to be in his own films and his horrible Australian accent in “Django Unchained” almost destroys this great flick. It’s hard to believe that “Anna Karenina” actually came out in Australia in 2013 because it feels like ages since I saw it. That said, the film still remains with me as I was bowled over by director Joe Wright’s bold and “theatrical” approach to this classic story. It is stunningly gorgeous to look at too as Wright’s regular team of production designer Sarah Greenwood and cinematographer Seamus McGarvey work wonders in creating an organic and real feel to the theatrical setting. Dario Marianelli also returns with another fabulous score for Wright that rivals (but doesn’t quite beat) the genius of his work he did for “Atonement”. One of the greatest aspects of this film is seeing Jude Law playing a role he never has before with the rigid and stoic Russian aristocrat, Karenin. Law is unrecognizable and does a stunning job in bringing this man to life, and Keira Knightly (who plays the title character) has never been more beautiful. 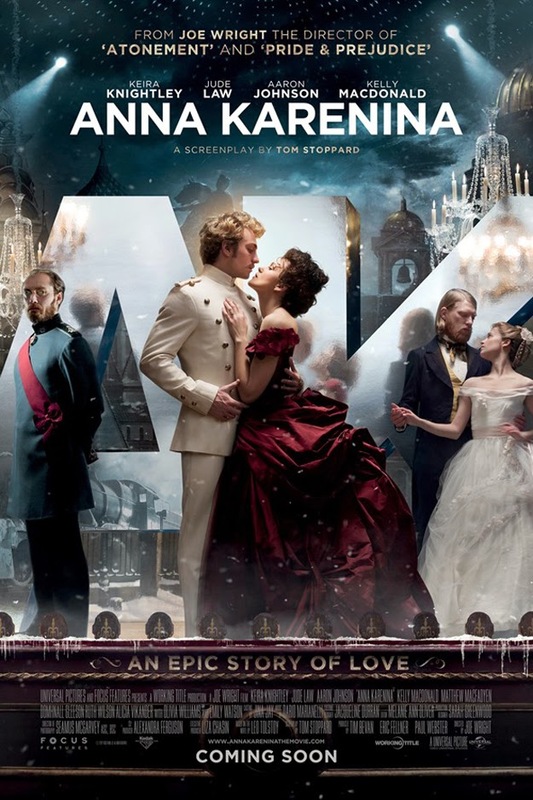 Due to the extreme lengths with the stylization Wright took in making “Anna Karenina”, it is a film that could alienate its audience just as much as it could spellbind them. I am obviously in the latter camp and believe this is yet another feather in Joe Wright’s cap; this guy just does not make bad films. I look forward to his adaptation of “Peter Pan” to hit the big screen next year. I absolutely hated Shane Carruth’s directorial debut “Primer” with a passion. It went totally over my head, I just did not get it, and as such found the entire thing excruciating to watch. It goes without saying that I was not sitting on the edge of my seat waiting for a new film from Carruth. However, when the trailer for this film came out, I was instantly intrigued by its images, I didn’t understand them, but there was a beauty to them. I felt the same way when I eventually saw the film; I cannot explain what is going on exactly but I was totally drawn into the whole thing and found it so beautiful and moving. While I am sure there is a plot, it involves a cycle or lifecycle of something, at its heart “Upstream Color” is a film that you feel. In a way it is stylistically similar to “The Tree of Life” where we are witness to tiny fragments of our characters life without any context and yet when the film ends you feel as though the story is told complete. I do not think that I am making any sense in regards to this film, so I must reiterate that this is a film you feel more than you understand, at least in the moment. Because it is so rich, it infests your mind and you continually think about it, until you want to rewatch it again to unlock more of its secrets. “Upstream Color” is a great film but not for all tastes. 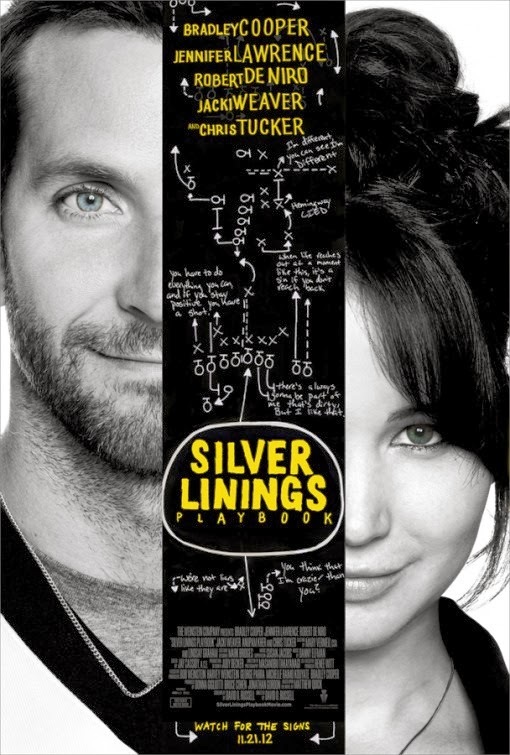 The first of two films directed by David O. Russell that hit Australian shores in 2013, “Silver Linings Playbook” could almost be described as a romantic comedy, but it is much deeper and darker than what you would normally think of a film with that description. “Silver Linings Playbook” is the story of two damaged people who ultimately find each other and learn to live their lives again whilst falling in love. Bradley Cooper has never been better playing a guy recovering from a nervous breakdown after his marriage has fallen apart, whilst Jennifer Lawrence continues to show why she is the best young actress of her generation, playing a sexually liberated widow still trying to come to terms with her husband’s death. Both characters call a spade a spade, and have little time for games. You are never in any doubt how they feel about a certain situation and it is in these very blunt conversations that a lot of the humour of the film comes from. The two characters start to grow, and in Bradley Cooper’s case start to get well again, when they enter a dance competition which gives the couple discipline and a routine. What makes “Silver Linings Playbook” so good is the chemistry between the two leads, and even though the film is a comedy, it never takes our characters problems (particularly mental illness) lightly. Russell respects that these are real life issues and never trivializes them (Russell’s son actually has the same illness as Cooper’s character making the project a very personal one for the director). Whilst the finale of the film is its weakest point (it just doesn’t ring true), at the end of the day, “Silver Linings Playbook” is a feel-good film and you end up liking these characters so much that you want to see them happy. When you take over five years to make a single film, the resulting film needs to be something special, which thankfully “The Grandmaster” has turned out to be. Wong Kar-Wai’s latest film is about kung-fu grandmaster Ip Man and to give an indication just how long he took in making the picture, when he announced the film it was the only film about Ip Man to go into production and yet by the time the film made it out into cinemas, a total of four Ip Man films had been made. You would think that taking so long would have cost Wong Kar-Wai seeing as audiences were now well aware of the character and his story no longer fresh. However this is a Wong Kar-Wai film and unlike any of the Ip Man films before it, as the director has created a gloriously beautiful martial arts film that focuses just as much time on the philosophy and disciplines of kung-fu, as it does on the fight scenes. Being a Wong Kar-Wai film, there is also a tale of unrealized love that is weaved into the narrative as well. 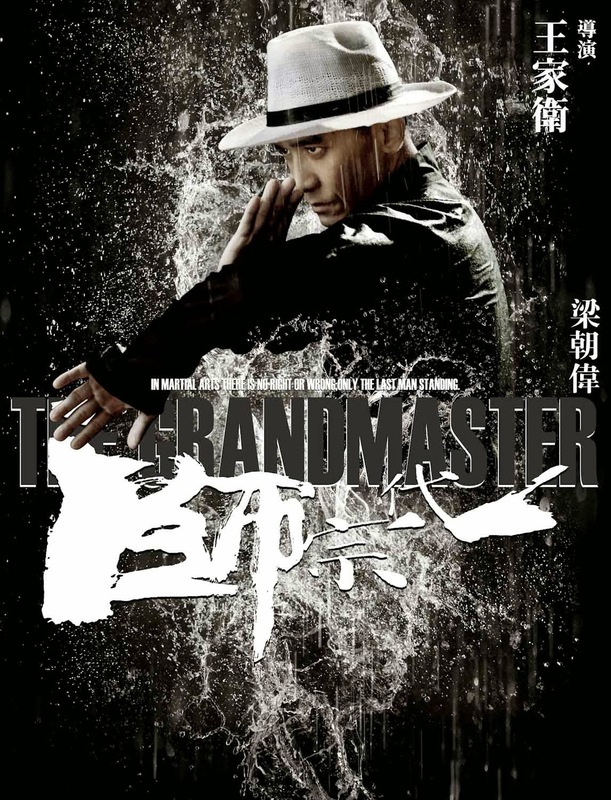 While Ip Man is an integral part of the film, Wong Kar-Wai has opened up his vision to make the film be about a number of Kung Fu grandmasters, and as great as Tony Leung is as Ip Man, it is Zhang Ziyi’s turn as grandmaster Gong Er that steals the show, and gives “The Grandmaster” its heart. She is stunning and heartbreaking all in one, and she equips herself magnificently in her fight scenes particularly a very impressive fight at a train station next to a moving train. Speaking of the fight scenes, as you would expect from Yuen Woo-Ping they are brilliant and intricate, but a lot more stylized (no doubt due to Wong Kar-Wai’s influence) than what you would see from his choreography. As usual for a Wong Kar-Wai film, “The Grandmaster” is stunningly beautiful to look at, the director working with Philippe Le Sourd as cinematographer for the first time on a feature (the two have collaborated on two shorts together), but losing none of his visual flair. While the final film is great, it does feel that it is truncated from a version longer than presented because certain characters that appear very important when introduced end up having very little screen time (particularly Chang Chen’s “Razor”). I should mention that the version of the film that I have seen is the 130 minute Hong Kong version, and not the shortened 108 minute U.S version, so I cannot comment on the shortened version, but in terms of the Hong Kong version of “The Grandmaster”, it is another great achievement from Wong Kar-Wai (I just hope we do not have to wait another five years for a new film from him again). As much as I enjoy his nostalgia pieces, after “The Unknown Woman” and now, “The Best Offer”, I think it is safe to say that I love it when Giuseppe Tornatore goes genre. Tornatore’s latest is a mystery / thriller in the Hitchcock mode that has a fantastic (and melancholic) central performance by Geoffrey Rush. Rush plays Virgil, an auctioneer dealing only in the rarest of pieces, that finds himself falling in love and becoming obsessed with a reclusive young woman suffering from agoraphobia, when she asks him to come to her mansion to valuate her collection of fine arts. Immediately intrigued that the young woman conceals herself in a secret room during all their meetings, Virgil is slowly drawn into her life as he attempts to draw her out so she can be a part of his. However the deeper he gets, the more blind he becomes to the fact that he may be the victim of a serious heist. This is an amazingly fun film, but also an incredibly sad one. 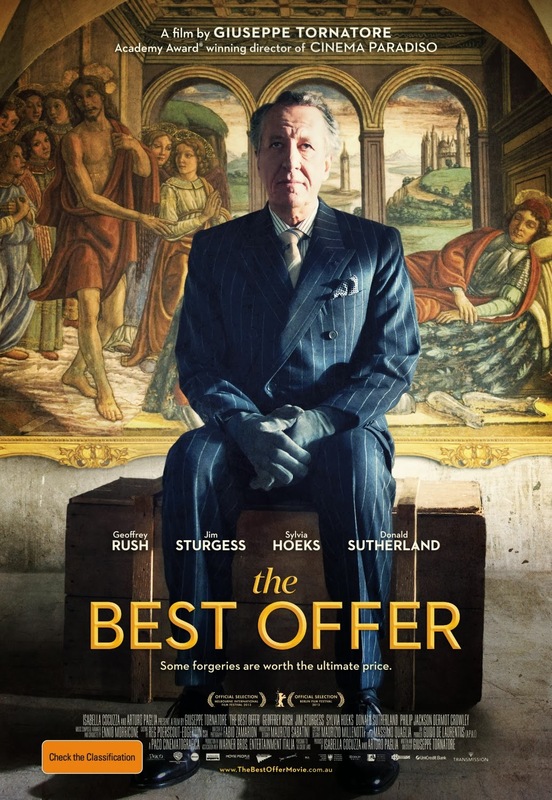 Unfortunately, “The Best Offer” is a hard film to talk about because its success relies on the twisty turning plot and knowing as little as possible about it when watching the film. I have always been a fan of Tornatore’s visual style; it really suits genre films particularly, and with this film there really is a Hitchcock vibe to it that I attribute mostly to the camerawork. Ennio Morricone produces another memorable score for a Tornatore film, this time closer in style to the work Bernard Herrmann created for Hitchcock. Similar to “Shutter Island”, when you really sit back and think about the intricacies within the plot of “The Best Offer”, I may suddenly fall apart due to the complete lack of realism behind making it all work, but in the moment of watching the film, you just do not care. “The Best Offer” is fun, entertaining, enthralling, suspenseful and just a hell of a good time at the movies. Rob Zombie returned this year with his best film since his 2005 masterpiece “The Devil’s Rejects”. 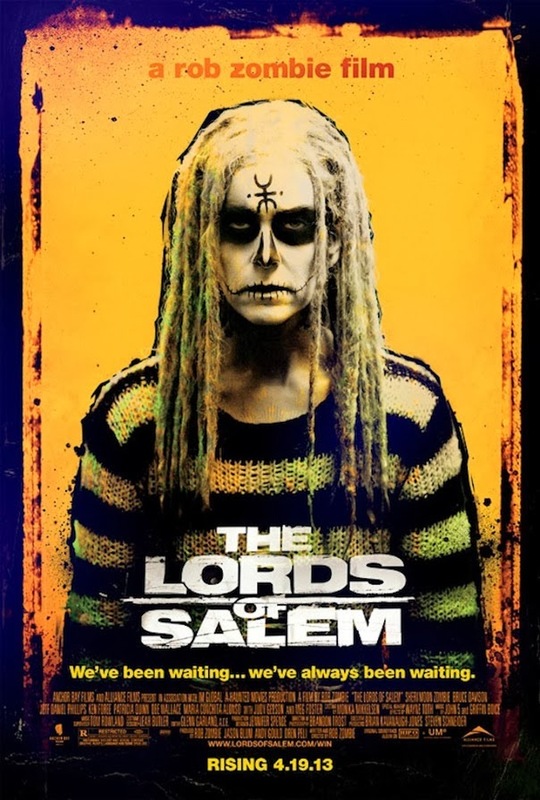 With “The Lords Of Salem” Zombie proved to the world that he wasn’t a one trick pony. Stylistically he has turned 180 degrees as he replaced his trademark rough and violent images with beautifully composed and symmetrical shots that exude class. All of Rob Zombie’s films previous have had an immediacy to them; they all felt in the moment and are briskly paced, whereas his latest film is again the complete opposite. Zombie takes his time setting up his story and creating an atmosphere before carefully ratcheting up the suspense until the film explodes into madness towards the end. As usual Zombie has cast his wife, Sheri Moon, this time in the leading role of Heidi and she does a fantastic job with the role; it is easily her largest role to date and her most successful. Heidi is a DJ at a local (the film is set in Salem, Massachusetts) radio station who, one night after her show, receives a mysterious package by someone known only as “The Lords”. When she opens it she finds the contents within to be a strange record which she ends up playing once she gets home. As soon as the needle hits the vinyl, a strange and ominous (not to mention disturbing) tune is played that sends Heidi into some sort of trance as she is bombarded with images from the past of the infamous “witches” who were burned at the stake back in the 16th century. From the moment Heidi hears this song, she starts hallucinating and dreaming strange things; is she going insane or have the witches returned to take their revenge on modern day Salem? As I have just mentioned, “The Lords Of Salem” is a slow burn horror film, that explodes into the most bizarre images you are ever likely to see for its finale; images that could only come from Zombie. The whole film is just gorgeous to look at, it is easily Zombie’s best looking film to date, and the whole thing just has a grandness to it. Probably the thing that becomes obvious thanks to “The Lords Of Salem” is if you leave Rob Zombie alone to make his own film, the way he wants to make it, the results are going to be great. This is the first time since “The Devil’s Rejects” he has suffered no interference from producers and he had final cut. While the film definitely isn’t for everyone, I loved it and have already watched it four times. Click here to read my original review. “Big Sur” was one of the best surprises of the year and it was a film I knew nothing of until just before I saw it, so I went into the film with no expectations at all. 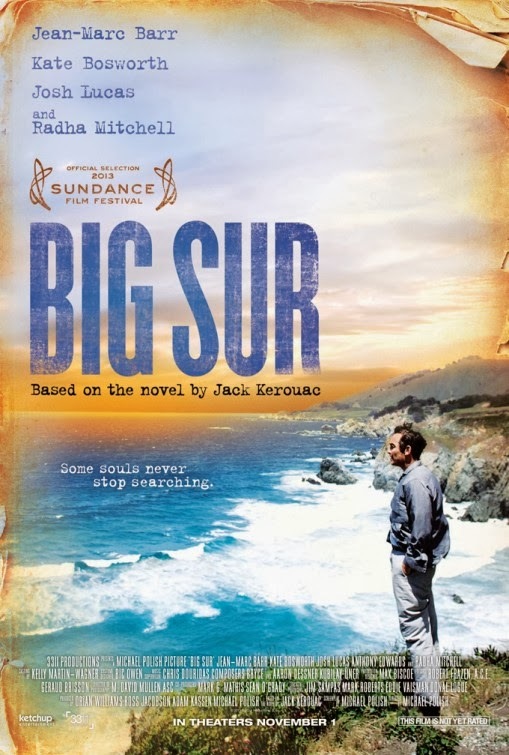 After really enjoying last year’s beatnik tale “On The Road”, I became immediately interested in “Big Sur” when I found out that it was about the author of that tale, Jack Kerouac, and his group of friends much later in their life. Then I realized that the film was directed by Michael Polish who I used to be a big fan of (but hadn’t followed his work of late). The film immediately made an impact on me; it just connected with me on an emotional level and I ended up loving “Big Sur”. This picture is much different than “On The Road” because here Kerouac is a lot more jaded with life, he is struggling with his sudden fame (after his hit book “On The Road” is published) and the fact that he feels like a sham particularly due to the fact that his fans think he is this twenty something kid travelling the world on foot, where the reality is he is a forty something drunk struggling to come up with a follow up book. He no longer believes in what he is doing and decides to head out to Big Sur and stay at the cabin there owned by his poet friend, Lawrence Ferlinghetti. He binges on drugs and alcohol whilst attempting to find himself again and his love of the world and the written word. Like “On The Road”, “Big Sur” is a stunningly beautiful film to look at with the location photography absolutely jaw dropping. As opposed to the earlier film, “Big Sur” is not a road picture, instead it is more of an internal and emotional journey as our lead character tries to find himself. Because a large portion of the film takes place in Kerouac’s head, dialogue is limited but the film is narrated throughout in the words of Kerouac himself, as portions of his book “Big Sur” are read over the images to describe his state of mind. Narration is such a tricky thing, but I thought its use here was beautiful; I just loved the poetry of the words, and it really gave an insight into Kerouac’s soul at this time in his life. In terms of acting, I thought Jean-Marc Barr’s internal performance was magnificent, and completely different than Sam Riley’s wide eyed performance in “On The Road”. I much prefer Barr’s performance, it has much more weight to it, as we witness a man disillusioned with the world and his own role within it. There are also fine supporting turns from Josh Lucas, Anthony Edwards and particularly Kate Bosworth, who play Kerouac’s friends and lovers. “Big Sur” is a fantastic film that needs to be recognized for its greatness and I hope that more people get a chance to see it. Just three features into his career and it is safe to say that Jeff Nicols is the best and most important new director to come out of America in the past decade. He is someone who understands the human spirit and what makes us tick, and all three of his films have been about family dynamics and all three are dynamite. “Mud” is his latest film and is basically a coming of age tale, with a lot of heart. The film is about two young boys, Ellis and Neckbone, who after finding an abandoned boat stuck high in a tree which they claim as their cubby-house, meet a wanted fugitive named Mud. The outlaw is living on the island whilst waiting for his girlfriend to arrive and at the same time hiding from the law and dodging bounty hunters intent on collecting for his arrest. The two boys strike up a friendship with Mud, particularly Ellis who looks at him as a kind of father figure, and decide to help him in his quest to reunite with his girlfriend. What I love about Jeff Nicols’s films is that he gives a real sense of place, the locations the story is set become as important to the story as the characters themselves. 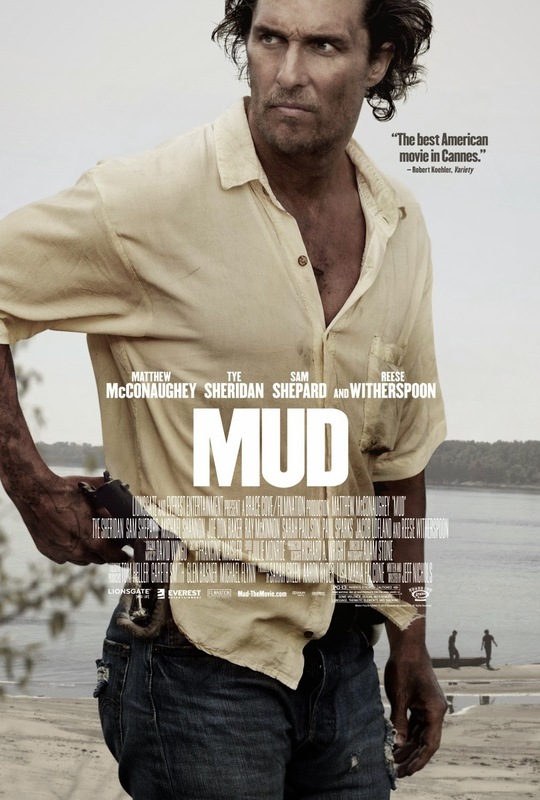 In “Mud” (like his first film “Shotgun Stories”) he really brings Arkansas to life, there is a texture to it and to the lives of the people living there. Matthew McConaughey continues his streak of incredible performances as the title character infusing the outlaw with a kindness and a sense of mystery to him, as well as a selfishness in the fact that he is willing to manipulate people to get what he wants. Tye Sheridan is amazing as the young Ellis, a boy who looks up to this questionable man and there is a fantastic scene between Sheridan and McConaughey when Ellis finally realizes that the man he has built up in his mind, is not what Mud really is. Ellis has looked up to this guy to the point that he sees him almost as a hero, but when he finds out that Mud is simply just a man who has made some mistakes (most of his own doing), it devastates the boy. It is a powerfully emotional scene and rings so true because it is reminiscent of a moment every child goes through in their lives in regards to their parents. Reese Witherspoon has a small role in the film as Mud’s “girlfriend” and it is a role quite different then we are used to seeing from her. She is not America’s sweetheart here, there is a lot more darkness to her in this role, and she really pulls it off. Nicols’s muse or good luck charm Michael Shannon also has a brief role in “Mud” and as I have mentioned numerous times he is an actor I rarely respond to, except when he works with Nicols who always brings out the best in him. While I wouldn’t rate “Mud” above “Take Shelter” (Nicols’s second film), it is still an amazing achievement and I look forward to Nicols’s next project, the science fiction / romance “Midnight Special” which will probably see the light of day in 2015. This will be the third time I have written about Brian De Palma’s “Passion” so I do not know what more I can say other than I love it. What I will also say is that this is a film that gets better with each viewing, which I think says a lot about it. This is De Palma at his most fun since 1992’s “Raising Cain” and the whole thing is worth seeing alone for its final scene. “Passion” is a great thriller that also doesn’t take itself too seriously. Click here to read my original review.